After a long pre-season of testing, training and tons of media commitments, reigning FIM Supersport 300 World Champion Ana Carrasco (Kawasaki Provec WorldSSP300) is finally ready to take to the tarmac in 2019. 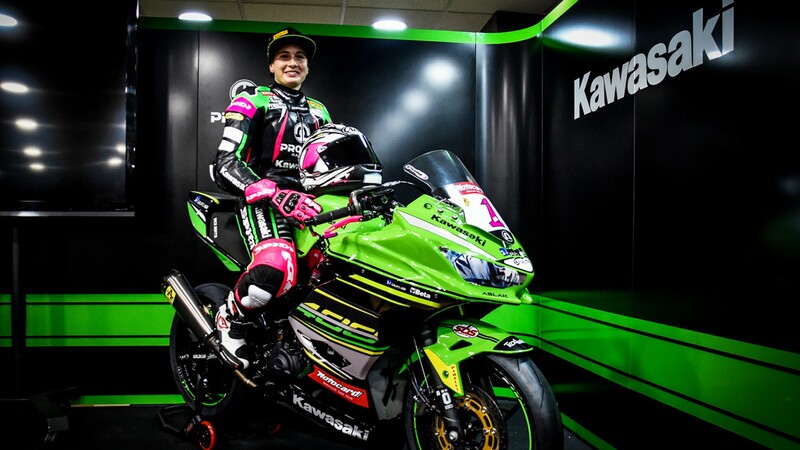 The Spaniard will join 50 other riders in a week’s time at her home track of MotorLand Aragon for the first race of the feeder series, sporting the colours of Kawasaki Provec, the same structure as four-time WorldSBK champion Jonathan Rea. 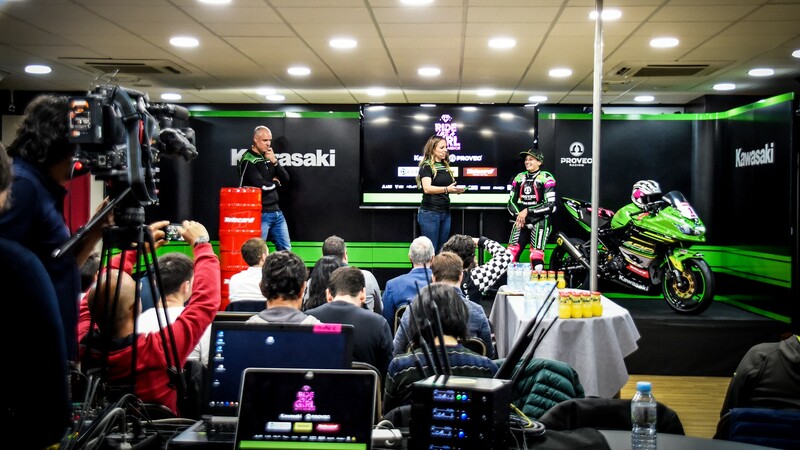 This Friday, the Spanish-based team – which will have Carrasco as a sole WorldSSP300 rider in 2019 – presented their project for the new season at the Motocard Centre in Barcelona. 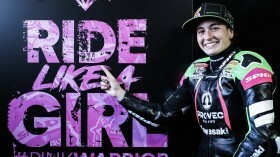 The 22-year-old was joined by a multitude of fans and media outlets, with her Kawasaki Ninja 400 on-stage alongside her in full 2019 fairings, #1 included. 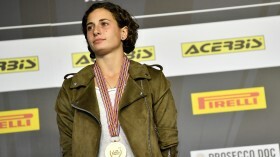 Defending her hard-fought championship this season, Carrasco is as always up for the challenge: “It has been one of the busiest winters of my life, we have made many changes at the sports level as well as at a personal level and I’m very eager to start the season to see the results of all this. Although I’ve had to do a lot of media work these months, I’ve also been able to work a lot on the motorcycle and I think that I’m ready for the first race. I’m very happy with all my team, with the work we’ve carried out during the pre-season tests and I’m very excited and keen to have a good season and will be able to return all the effort over these months to the team via good results and to give my best this year”. Team manager Jordi Caparrós is equally excited for the start of WorldSSP300: “The 2019 season is here, we’ve been working for months to start this project with maximum strength, certain that it will be a fast-paced year, waiting for the final technical regulations from the FIM, all the members of the team and our suppliers have worked hard to have the Kawasaki Ninja 400 ready. Ana has also worked hard, in the gym as well as on the track, the expectations are high, so we’ll have to stay tuned in”. Follow the first race of the 2019 WorldSSP300 season and see if Carrasco can continue making history thanks to WorldSBK VideoPass.